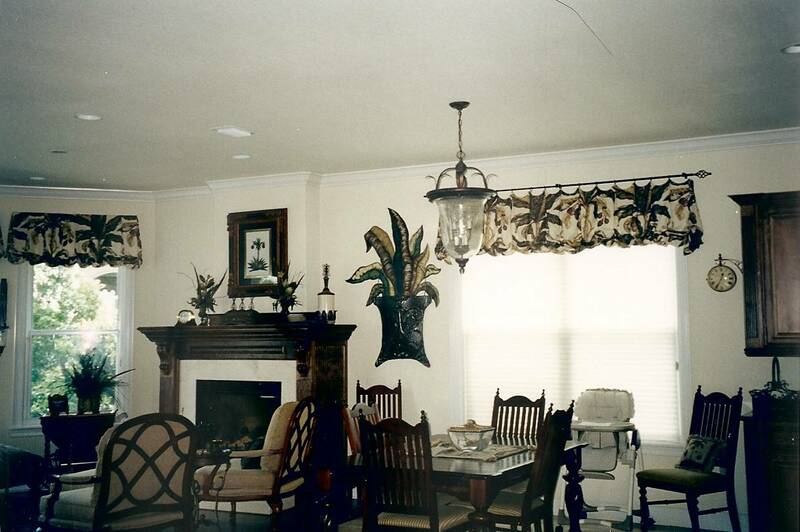 Paintings of flowers, leaves, vines and fruits can make the outside appear to come indoors. 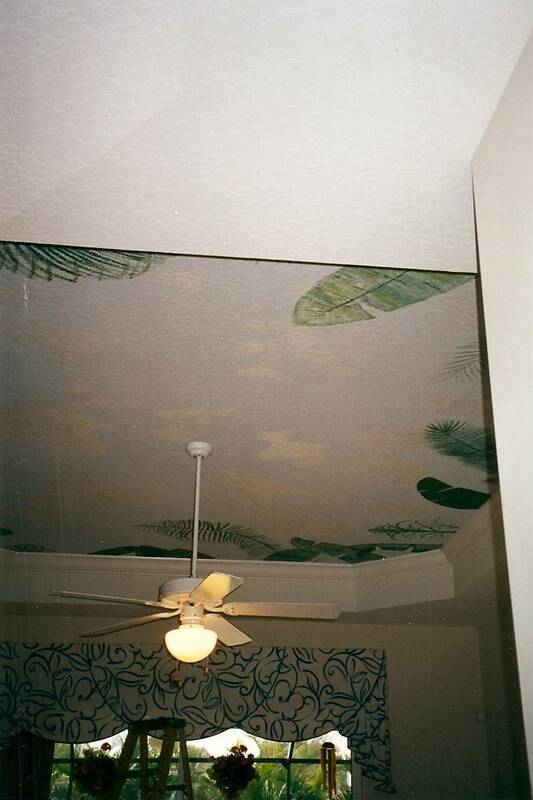 A painted tray ceiling. Looking up from the bed feels like outside. 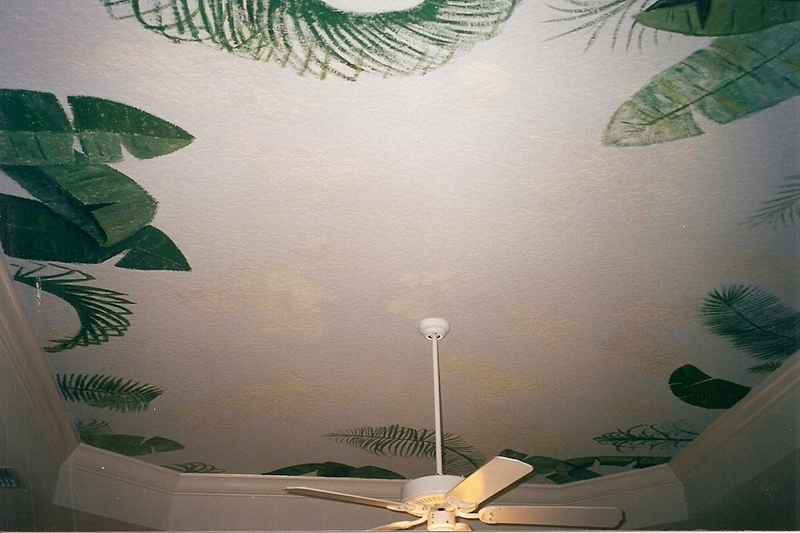 Detail of palm fronds on the ceiling. 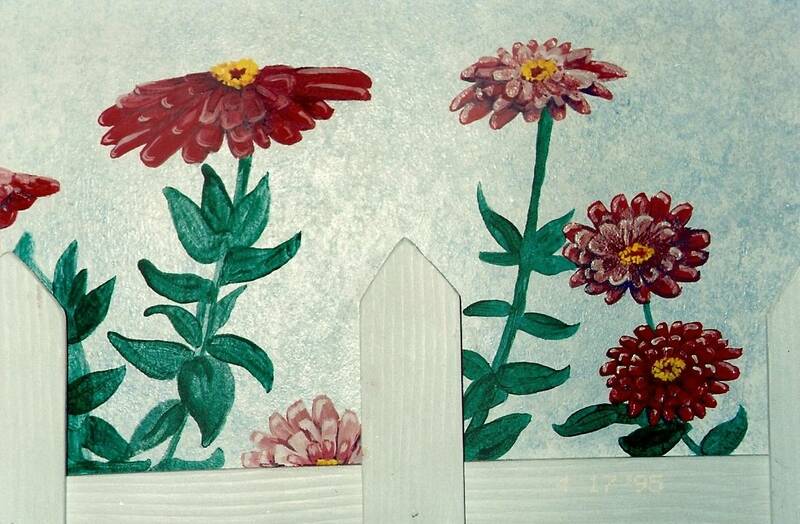 A short kitchen wall blooms with painted zinnias. 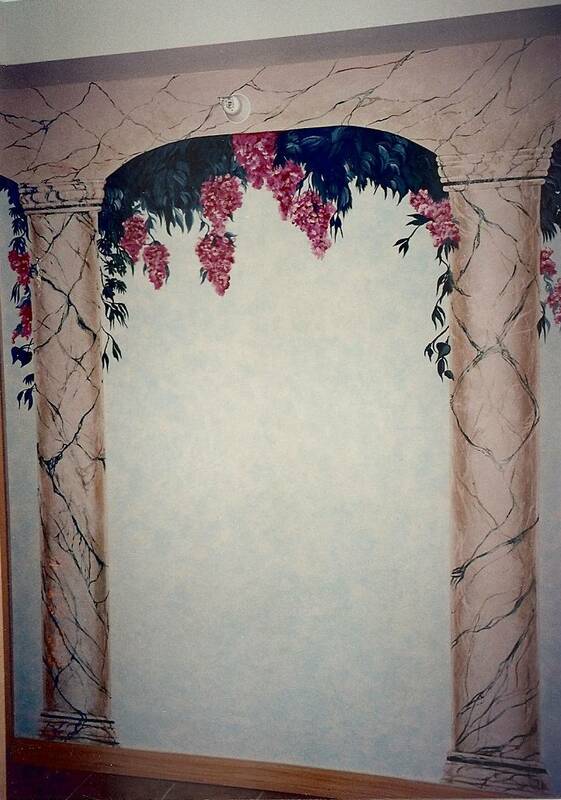 Real pickets add dimension. 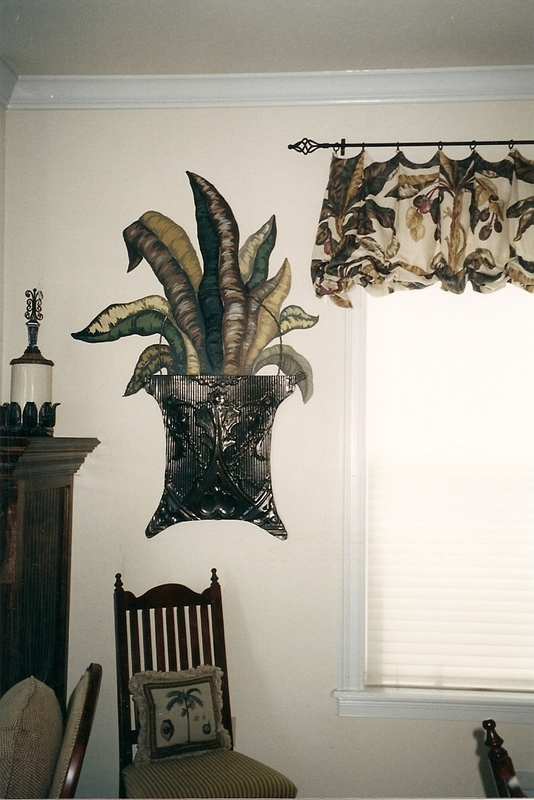 Faux leaves in a real metal basket match the fabric valences and the tropical theme of the room. Detail of palm faux leaves in the basket.